Pace-of-life syndrome (POLS) theory predicts that physiological and behavioral traits coevolve and should fall predictably along a fast-slow life history gradient. Although this theory represents an attractive theoretical framework for exploring ramifications of life history for behavior and physiology, empirical support has been mixed for this theory, and more work is required to determine how well POLS theory explains existing patterns of behavior, particularly for extremely fast or slow life histories. We investigated factors that affect adult risk exposure and nest success during nesting excursions for the Blanding’s turtle, a long-lived ectotherm. We used radio telemetry to track gravid animals to nesting areas while measuring temperature and predation risk across the study site and monitored nest success to connect behavior to current reproductive success. Turtles responded more strongly to thermal gradients than predation risk when moving to nest sites, consistent with their armored morphology and ectothermic physiology, and generally selected relatively warm microclimates during these excursions. Nests placed further from wetland edges were more successful; unexpectedly, these same areas generally had relatively high predator activity, indicating that successful nesting areas may be riskier to adults. 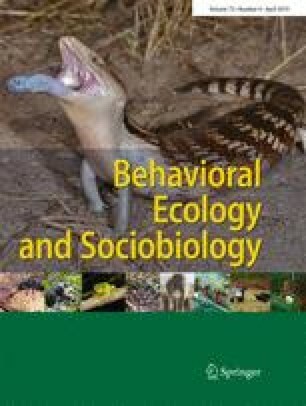 Accordingly, turtles did not appear to select for nest sites far from wetlands in areas likely to produce successful nests, instead placing nest sites in areas where predator species richness and activity were lower. Consistent with POLS theory, our study demonstrates that long-lived organisms engage in behavioral strategies that prioritize their own survival at the expense of current reproduction. The online version of this article ( https://doi.org/10.1007/s00265-019-2658-z) contains supplementary material, which is available to authorized users. This work was supported by a United States Department of Agriculture Hatch Act formula grant to MZP (WIS01865). All applicable institutional and/or national guidelines for the care and use of animals were followed, and this work was approved by the UW-Madison Institutional Animal Care and Use Committee (IACUC #A005358) and the Wisconsin Department of Natural Resources (SRL-SOD-001-2016).